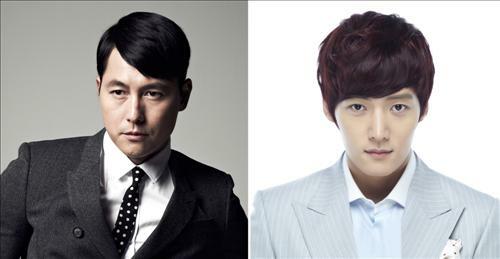 Actor Choi Jin-hyuk signed a contract with Jung Woo-sung's agncy Red Brick House. The chairman of the agency Choi Chang-gyu claims, "Choi Jin-hyuk's manly looks, singing skills and talents make him a capable character. We are going to make sure his appeals stand out". Red Brick House is a company established by Jung Woo-sung and his manager of 10 years. Choi Jin-hyuk is their first actor. Choi Jin-hyuk says, "I am happy to be working with my role model and respected actor Jung Woo-sung". Choi Jin-hyuk made his debut through the KBS "Survival Audition" and starred in "Tone-Deaf Clinic" and dramas, "My Precious You", "Pasta", "My Daughter, Flower" and more. "Actor Choi Jin-hyuk in the same agency as Jung Woo-sung"
Oh Yun-soo, will she be able to pull off as deputy director? Moon Geun-young did plastic surgery?